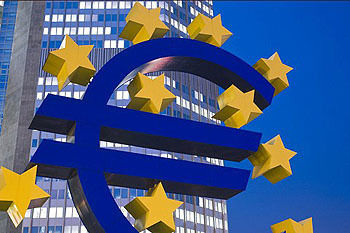 European diplomats are alarmed by a measure, introduced by Sen. Susan Collins (R-Maine), that they say could force European financial companies to shift significant amounts of capital to their U.S. subsidiaries to cover potential losses….Geithner has said that new capital standards are at the heart of reforming the global banking system, and the financial overhaul bill on Capitol Hill largely defers to the Basel committee to set the standards. Some Europeans complain they have found it hard to coordinate with the United States over the Basel process. Well, look: Collins’s amendment requires banks to hold more capital. That will indeed force European banks to shift capital to their U.S. subsidiaries, but only if European negotiators insist on the new Basel accords having toothless capital standards. Conversely, if they adopt standards similar to Collins’s, then European banks will simply need to carry similar levels of capital every place they do business. Now, maybe European banks don’t like Collins’s capital standard and want Basel to adopt a looser one. What happens then? The outcome, for instance, could be very different ways of banking in New York and the financial capitals of Europe, prompting leading American firms to shift their riskiest activities overseas beyond the purview of U.S. regulators. And that right there is the whole enchilada. If we adopt tough rules and banks decide to move their risky activities in Europe to take advantage of their looser rules, then Europe will be taking a big chance. But they’ll be doing it with their eyes open. They can reduce that risk anytime by adopting stricter standards. Every country and every region always has that option. I’m pretty much convinced that the Basel standards are almost certain to be inadequate unless the rest of the world is essentially forced to accept tough standards. And the only effective way to make that happen is for the United States to adopt strict standards first, thus giving Europe an implicit choice: agree to make strict standards global or else accept becoming the worldwide hub for risky investment. Hopefully they’ll choose the former.